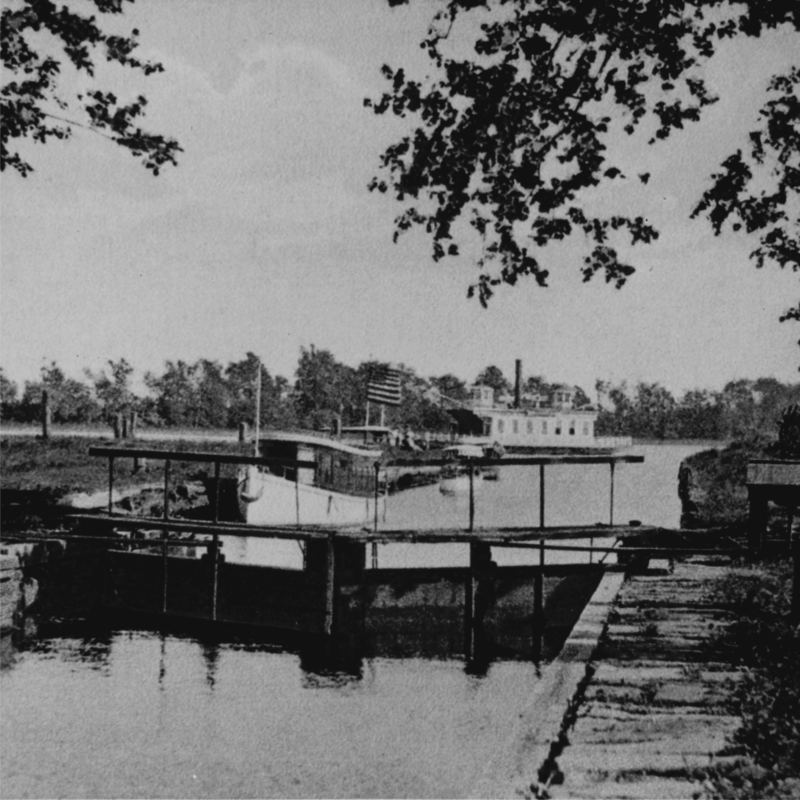 The Delaware Division of the Pennsylvania Canal ended in an area adjacent to the Bristol Marsh after traveling sixty miles south from Easton, Pennsylvania. The canal was constructed between 1827 and 1832 to transport primarily anthracite coal from mines in the Appalachian Mountains. The parking lot now in this area was the site of the canal basin, a waterway where barges unloaded cargo for shipment to other towns and cities. The coal carried from here would not only heat houses but fuel the steam engines and other machinery that powered the Industrial Revolution. 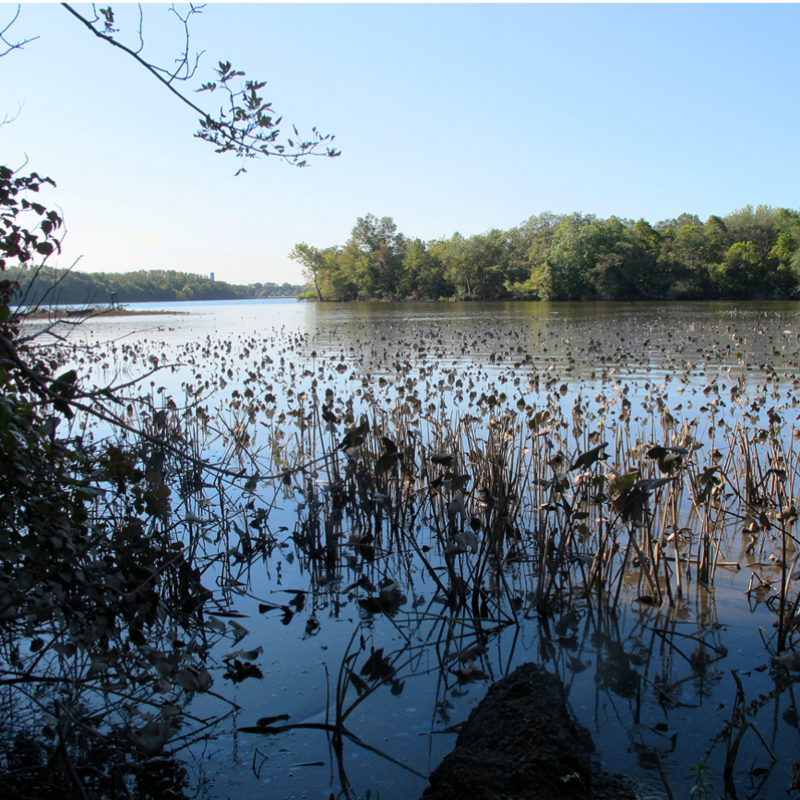 Looking southwest today, you will find the Bristol Marsh, the best surviving example of a fresh water tidal marsh in Pennsylvania. It is home to a variety of plant and animal life. 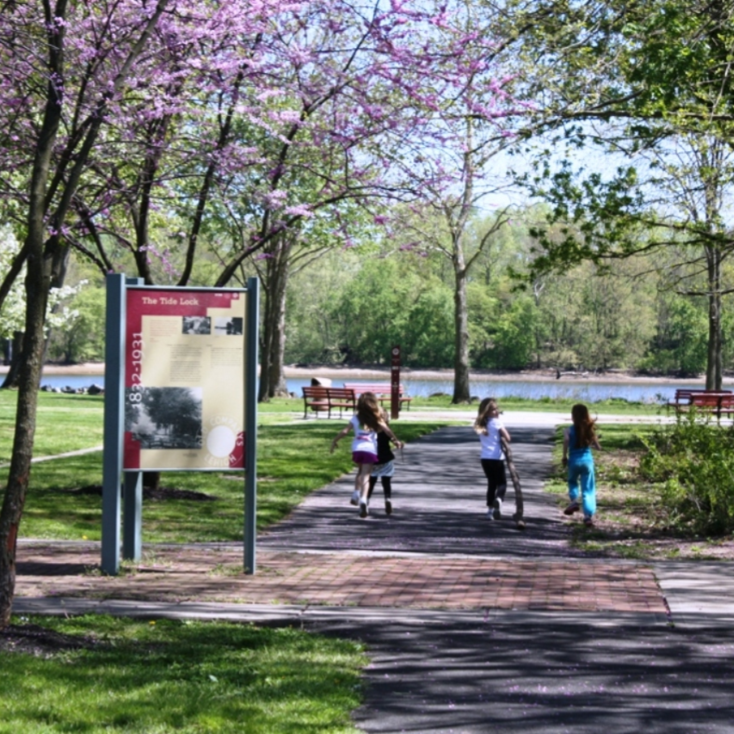 Viewing platforms and a nature trail with interpretive signs provide insight into the area’s natural history. NOTE: A large concrete circle near the southern end of the park represents the base of one of the cranes for unloading cargo from ships and canal boats.